Please take a look through our FAQ's or get in touch if you have any questions before booking. Our service prices can be found here, and our repair prices here, collection and delivery details are here. - Online booking requires a £10 deposit payable by card at the time of booking along with your details. This deposit is refunded on completion of your service/repair work. This deposit is not refunded if you miss your slot or choose to cancel your repair/service. - You can cancel or reschedule your booking up to 7 days before your slot without losing your deposit. - We ask that all bikes are in the workshop before 10am on the day of your work slot and are left until 4pm, regardless of the exact time slot you have booked in for. If this is not possible please contact us directly by 24 hours before your service. 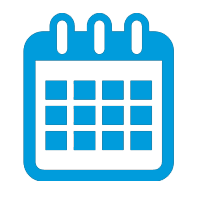 - Repairs are booked in as 'assessment' slots on our online calendar. Please bring your bike in on the day of the assessment. We will diagnose and provide an estimate during your assessment slot, and repair the bike if you give us the go ahead. - When you arrive in store we will complete a further assessment of your bike. We can then create a full estimate of parts and labour charge for the work you would like completing. This may lead to your total bill changing from the original service package you have booked in for online. You will be able to choose the amount of work you would like completing and we will give you an estimated price before going ahead. Please see our FAQ's for more detail. - The timescale of your service or repair will depend on the amount of labour required and parts availability. Although we will try our hardest to complete the work within the timescale set during your online booking, we cannot guarantee this. We will keep you informed during the initial and further assessments with the estimated timescale of your job. - Collection and delivery is an additional £15 and can be booked alongside your service when you call or during the online booking process. We can collect your bike within 5 miles of S1 4HX (based on the shortest route on Google Maps). We collect your bike Mondays between 6.15pm - 8pm. We deliver on Thursdays between 6.15pm - 8pm. If booking online please book your slot for the day you'd like the bike to be repaired, however bear in mind that your collection and delivery slots will be at a different time to your booked slot. Collection and delivery times will be finalised once booking is confirmed. - Not all available service/repair slots are available to book online, so for the latest availability speak to one of our team directly.